Drawing hair is one of the important steps in pencil portraits. Pencil drawings of hair look attractive when it is crafted in a perfect way. Step by step instructions will be more helpful to understand the process. Using light and simple strokes will help to highlight the effect of light. Most of the beginners in drawing find it difficult to draw hair in a realistic manner. It is vital to understand the different types of hair, the hair volume, and the style. According to the nature of hair, you need to adjust the shades and strokes. You can not make a realistic hair drawing by simply drawing a bunch of lines. There are more than 1 million strands of hair on your head and hence achieving a 3-dimensional look is necessary. A simple drawing with many lines may not help you to create the real look. Texture, halftone, and highlight are important elements in a drawing. Hair may be curly, spiked, wavy or short. To achieve an attractive look, focus on the shadows and show the role of light on the hair strands. Do not try to draw each and every strand, instead, try to create an illusion of the volume. While highlighting, try to use thin and light strokes. It is better to start a stroke from the root of hair and taper the stroke towards the tip. 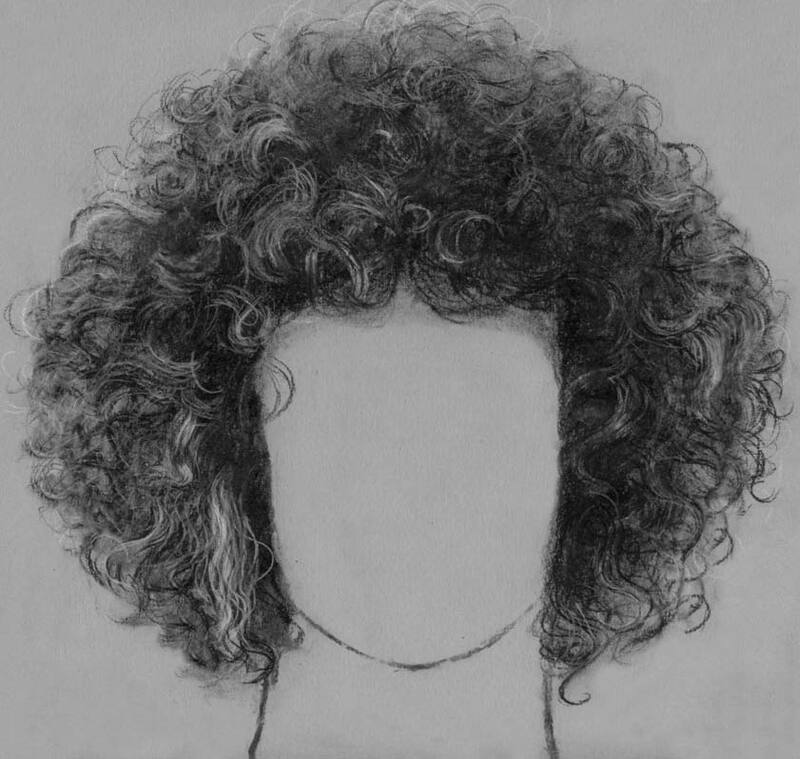 Here are some of the selected drawings of curly and normal hair. Look at these examples and try to draw beautifully! Look at this beautiful curly hair drawing. Each strand of hair is carefully done and the lighting effect is so perfect! Hi, I was looking for a great drawing of hair and saw a picture on here that I wanted to use in a professional manner. I wanted to know if you are knew the artist of such picture so I make contact. This image is no where else around. Thank you so much. Your timely response is appreciated. Thank you. Its very preety images &helps me to do best pencil drawing. Wow! Thanks! This helped a lot. I really appreciate it!